I test out 7 note-taking apps and see if they can be Evernote alternatives. From your daily house chores to more professional to-dos, you always need a note taking application to make things easy for you. One such, probably the most popular of its kind, application is Evernote. With 225 million users worldwide, Evernote can be considered as the industry-standard for managing your to-do lists. But there are many people who might still be looking for an Evernote replacement, primarily because the Free version has some limitations when it comes to usage. If you’re one of those people, you’re in the right place! Although, there are tons of online notepad apps that nicely serve the purpose they’re supposed to serve, there will always be some which are better than the others. To ease your pain points, I tried and tested 7 noteworthy Evernote alternatives for you to try right now. 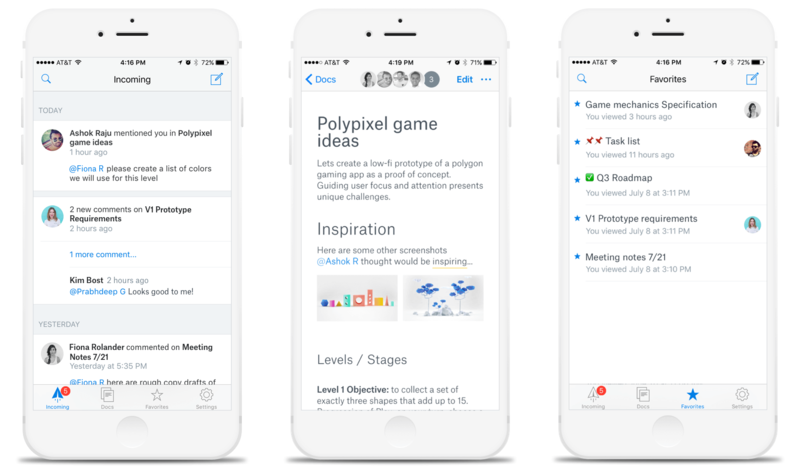 Dropbox Paper allows you to assign to-dos and set due dates to better manage your work. With a clean and simple user interface, this Evernote alternative allows for quick creation and sharing of documents without spending hours on the application. The tool also facilitates instant formatting of the document by providing a toolbar with comprehensive options, like creating a comment or converting into a checklist. 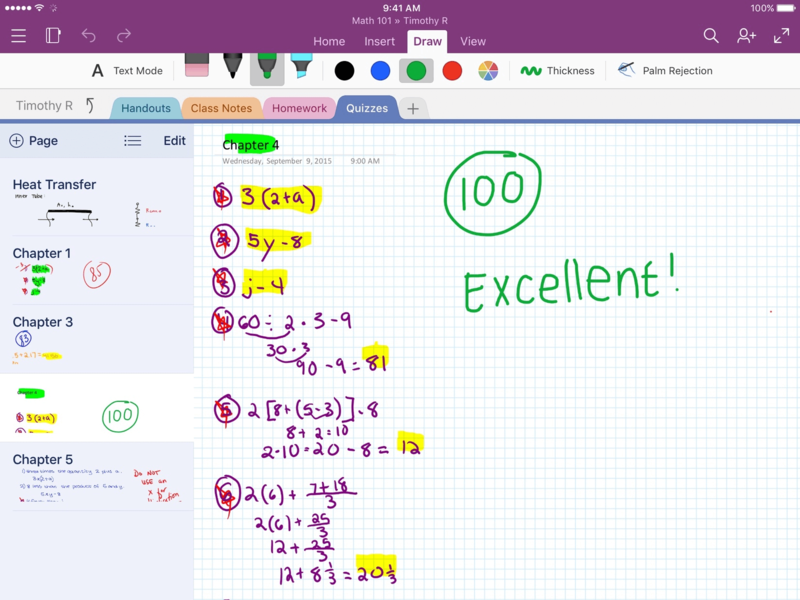 Microsoft OneNote is a flexible note-taking application that lets you take notes in whatever way you like. Write, type, or scribble your way through the application and keep track of your to-do lists. The application synchronizes your data through your Microsoft account and saves everything to OneDrive for easy access. This also helps in accessing your data from anywhere. Like most of the Evernote alternatives, Microsoft OneNote also allows to gather and store ideas in the form of a notebook. You can clip useful webpages, articles, or any pictures that you like to your notebook and access them whenever you want. nTask is one of the most useful free Evernote alternatives you’ll get your hands on. With its simplified user-interface and advanced features for task management, the tool makes it painless for you to manage your personal and professional to-dos with minimum chaos. Although primarily a project management software, you can easily keep notes in the form of checklists and create tasks to handle your daily to-dos. 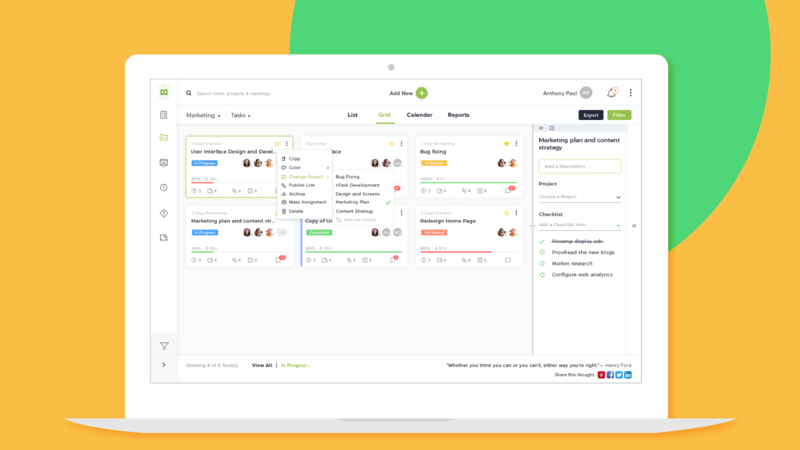 Create projects, and monitor progress through auto-generating Gantt charts and built-in timesheets and time tracking modules. What’s even more interesting about nTask is that you can also avail the luxury of advanced project management without integrating any add-ons, all the while having a really user-friendly experience. 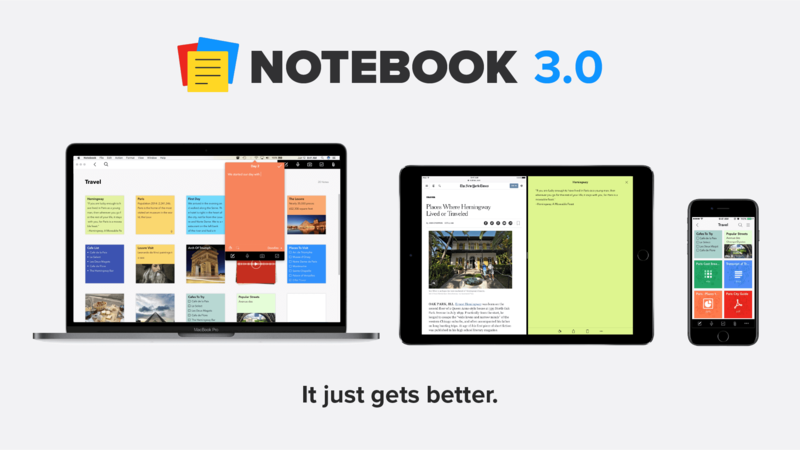 The fourth tool we have in our list of best Evernote alternatives is Zoho Notebook. It may not be the ultimate alternative to Evernote, but the tool still has plenty to offer. A simple note-taking application with a beautiful design, Evernote tries to hit all the right spots with its unique set of features. The application lets you take notes, create checklists, record audios, and instantly capture moments with the photo card function. To support different types of note formats, Zoho Notebook comes with unique designs that you can easily choose from, according to your liking. An interesting feature of the tool is the Smart Card feature. The functionality automatically adds content to the links you save in your notebook. For instance; if you save an article’s link to your notebook, the Smart Card will automatically add a headline and a main page to it to give it more meaning. Otter Voice Notes is a unique note taking application which works on voice recognition algorithms. A pretty smart solution for anyone who hates typing and would rather turn to voice recording applications for keeping notes. With Otter, you just record an audio, and the application will transcribe it into smart notes for you to take next action. This free Evernote alternative eliminates the hassle of manually typing notes by allowing you to either record or import from other services. 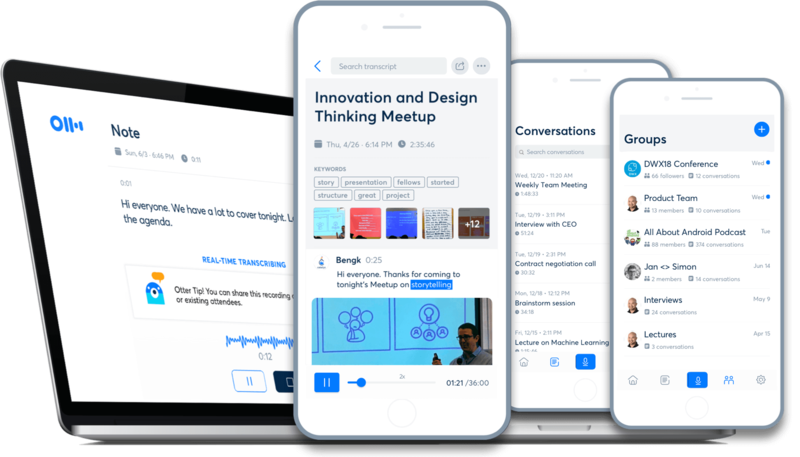 You can record all kinds of conversations, ranging from classroom lectures to more professional team meetings for reviewing and collaborating on critical matters. You can also conveniently create groups and share voice notes to keep everyone on the same page. 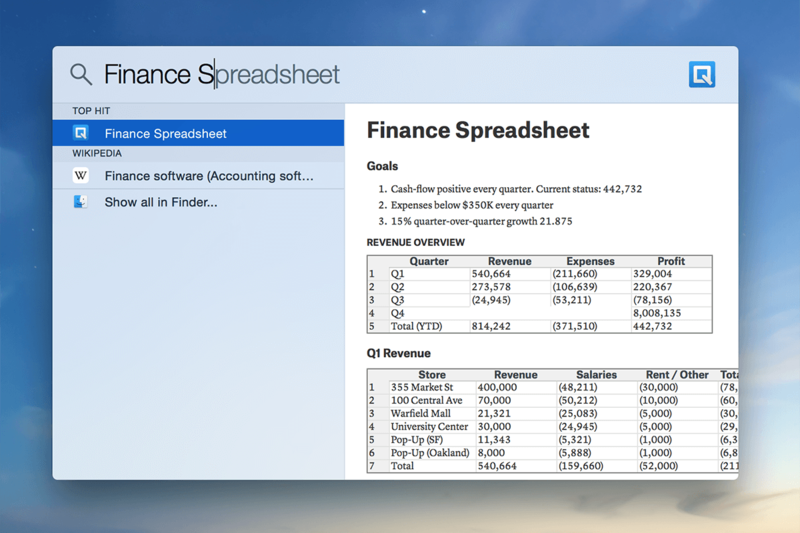 A strong contender for Evernote, Quip combines spreadsheets, documents, slides, and chat into one collaborative space. This allows for quick collaboration among team members. You can easily create and edit spreadsheets, to-dos, or documents, and communicate with team members through built-in chat feature inside each document. The tool offers to-do lists and allows users to check off the finished tasks. When tasks are checked off, all the other team members can view the activity. 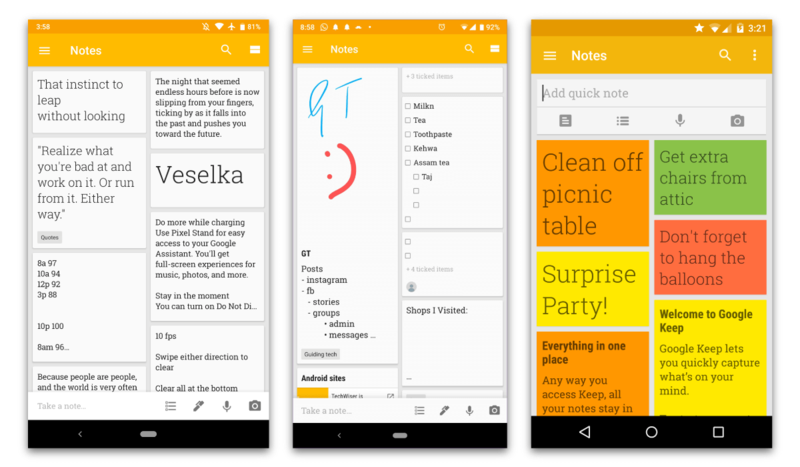 The last free Evernote alternative of our list doesn’t have a robust set of features for you to enjoy, and lacks advanced functionality when it comes to task management, but if you’re looking for a basic day-to-day note keeping application, Google Keep might be a perfect choice for you. The tool essentially facilitates making quick to-do lists which can be accessed from any device. A simple note-taking platform, where you can create a checklist, save pictures and voice notes, and check off the finished tasks. The application is connected to Google Drive which makes syncing with multiple devices easy. There are a lot of Evernote alternatives available in the market, but the best one for you would depend on what you want to do with the tool. Do you have an Evernote alternative you’d like me to try? What do you think of my top 7 picks? Don’t forget to share your suggestions with us in the comments below.